Truth Bomb Tuesday: Whose life are you living? Goal setting is an immunity building exercise. Are you living your own life? Are you sure? 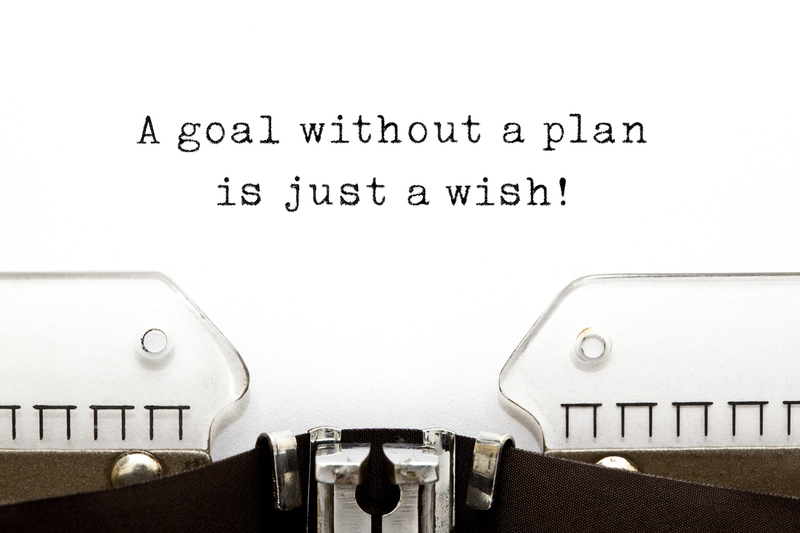 If you don’t have a clearly articulated set of goals, then we can probably say no. I’ve worked with hundreds of students now. Probably thousands. And you can see the ones who are truly walking their own path, and those who aren’t. And probably the easiest tell is to ask them what their goals are. … then we can probably say they’re not there yet. And it’s not that any of these things are wrong. Far from it. I hope everyone finds financial freedom and lives in alignment with their highest calling. It’s just that these things are too vague. They’re too wishy-washy. Too pie-in-the-sky. These things are a useful short-hand for certain quality of life that we’re looking for. But they’re no good at bringing those qualities into our life. Take soul purpose for example. You’re soul purpose might be to drive race cars. Mine might be to hold the world-record for largest quilt. We might hunger for the same sense of meaning and purpose, but our roads are going to be totally different. Pro Tip: If your goals could be applied to almost anyone in any context, then you don’t have goals. But there’s a real danger here. And that danger is not just that we’re not going to achieve anything great – that we’re just going to meander and muddle through life – though that’s true too. The danger is that if you’re not living your own life, you might end up living someone else’s. Let me break it down. First up, humans are directional beings. We are driven by our needs and desires from one moment to the next. Our decisions, at every point in the day, are driven by what we think we want to achieve. I don’t care who you are. Even if you’re a monk sitting on top of some mountain, seemingly doing nothing, you still engage with life as if you were in the driving seat. That’s another way of saying that even if you don’t have a clearly articulated set of goals that is consistently held through time, you are still goal-driven. Your mind is still constantly charting a trajectory from where you are towards the things you want. So since that process is going on all the time, the things we want matter. But what do you want? If you don’t have a clearly articulated vision, what are you going to end up driving towards? Society lays a lot of expectations on us. Subtlety, unconsciously, society slips us messages about what a ‘good’ life is. Get a good job. Rise through the ranks. Be a loving parent. Have beautiful kids. Be a solid and valuable member of the community. Of course there’s nothing wrong with any of that. But if you aren’t setting your own goals, then you can find your self attracted to these default goals – not the things you want but the things you think you should want. Another danger is wants that don’t come from within, but come from how we see ourselves relative to others – the “keeping up with the Jones’s” effect. In this case your wants (and your life!) are not yours, but are a reflection of the lives going on around you. I think we’re all awake to the crass forms of this – Bob bought a BMW now I want one too. But this comes through at a variety of levels. I once new a couple who were getting married and when I asked them why (‘cos that’s just how I am) they said, “because all our friends have got married and we’re getting left behind”! Your wants should be about you. Not about other people. Even if our wants are internally driven, if they’re not laid out in a clear goal structure, we can end up bumping around from one ‘temporary’ want to another. Say you want a bit more financial stability, so you take on extra hours at work. But once things are a bit stable again, you remember that your true calling is to make giant quilts, so you chuck your job in to attend a month-long quilting work shop in Kansas. But once you’re there you remember that you are a deeply spiritual person, and you don’t want to get caught up on all these material things. You’re running around like a headless chook. Of course none of these things are incompatible. You can have financial security, a passionate calling, and a rich spiritual life. But unless you’re working to a consistent game plan (laid out in clearly articulated goals) then you’re different drives can pull you in different directions, and you don’t end up achieving anything. So that’s it. There’s probably more if I thought about it. But the take-home point is that unless you are working on your own goals, then you’re going to be working on someone else’s. If it helps to think about it this way – that goals aren’t just a means to achieving things, but are actually a defence against living a life that isn’t yours – then great. Whatever works. Just get your goals happening.